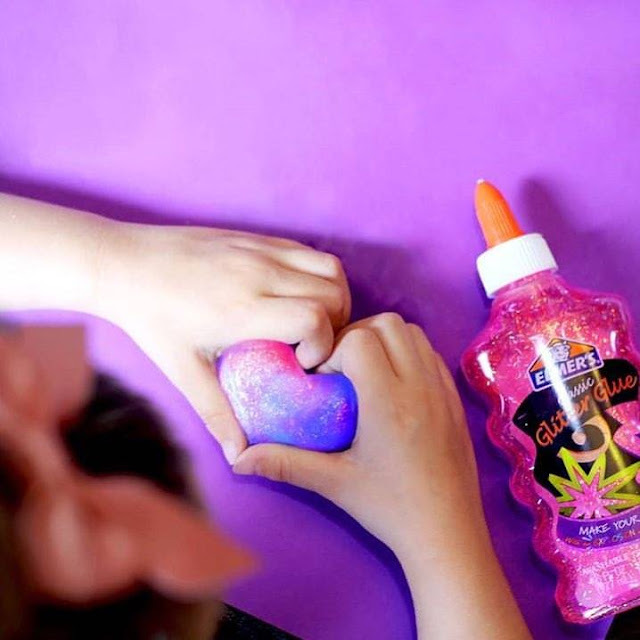 I grew up as a child seeing gooey slime toppled on heads of relay games on television. I've always wondered what they're made of and how it feels to touch it or have it all over my body. I've always seen it yucky but fun. My boys also have bugged me to make slime, but I don't know how. 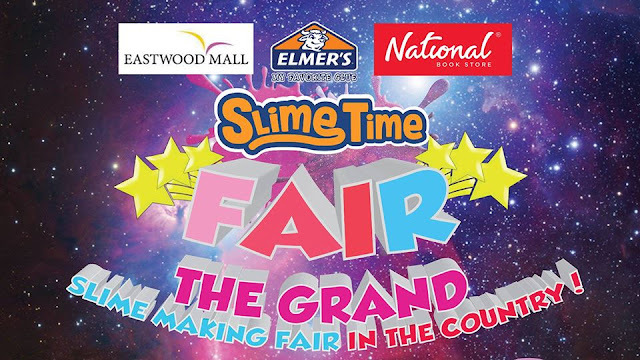 Gladly, we can all have a grand slime time this Christmas season at the Elmer's Grand Slime Time Fair! It's happening December 1 to 2, from 11:00 AM - 11:00 PM at the Eastwood Mall Atrium. 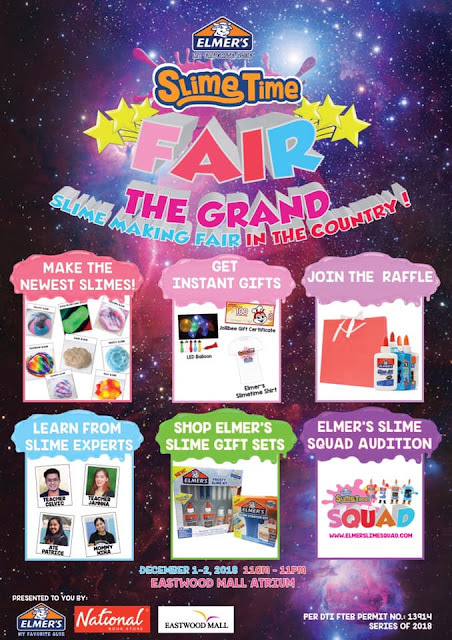 Try your hand at making the newest slimes guided by slime experts, get gifts, join the raffle, audition for the Elmer's Slime Squad, and shop for Elmer's slime gift sets! Admission is FREE. 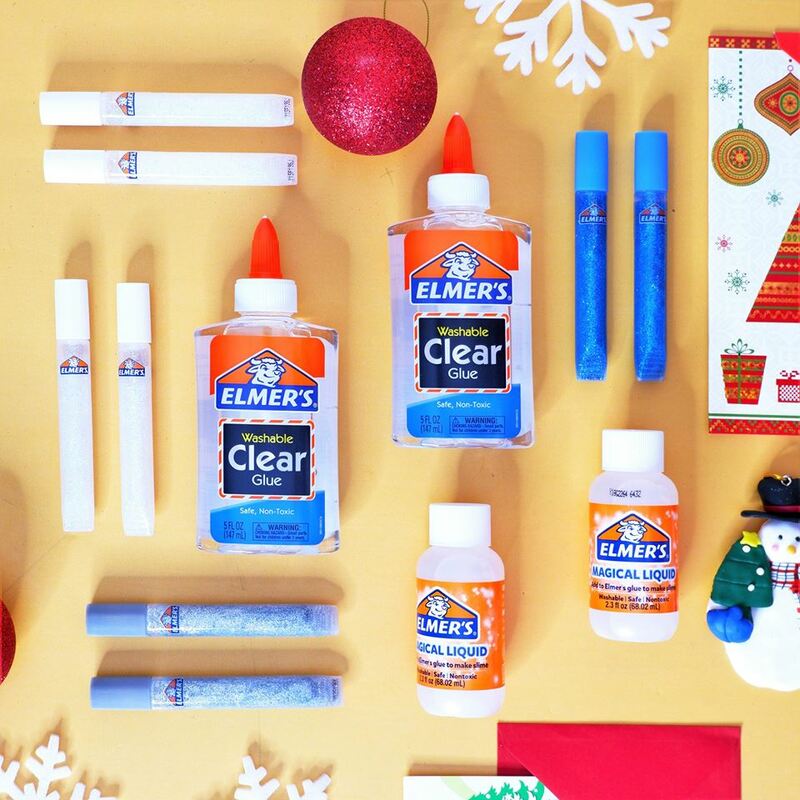 Special thanks to Elmer's and National Book Store for making this Grand Slime Time happen. Follow National Book Store on Instagram @nationalbookstore, and on Twitter, Viber, and YouTube @nbsalert.